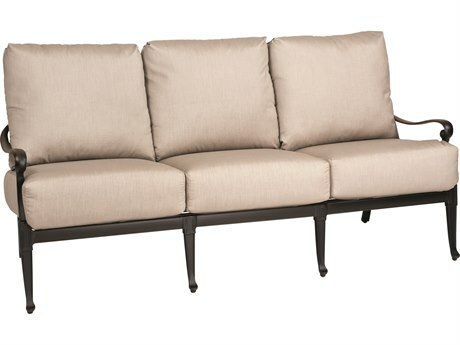 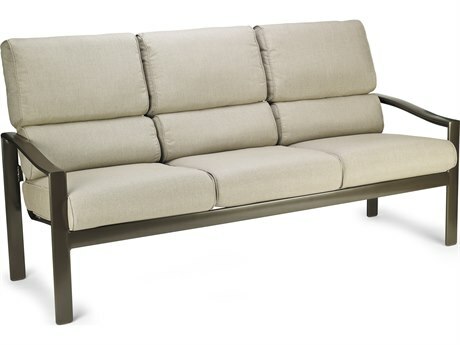 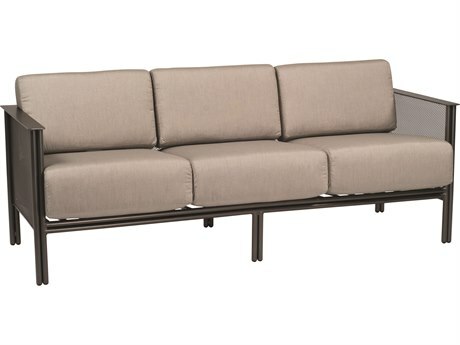 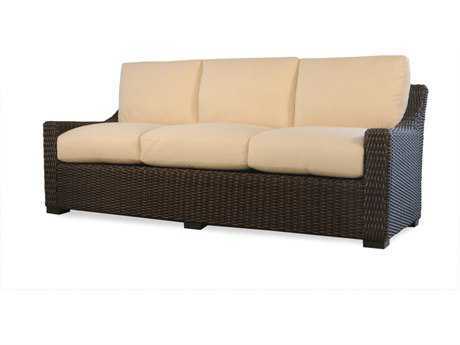 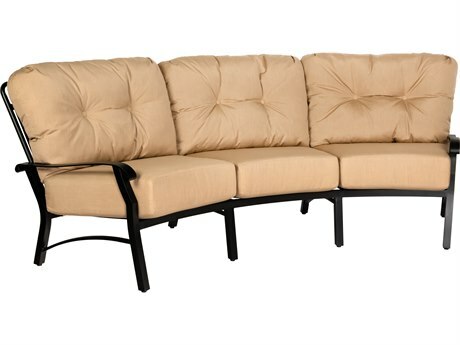 A patio sofa is an essential part of a great, well designed outdoor area. 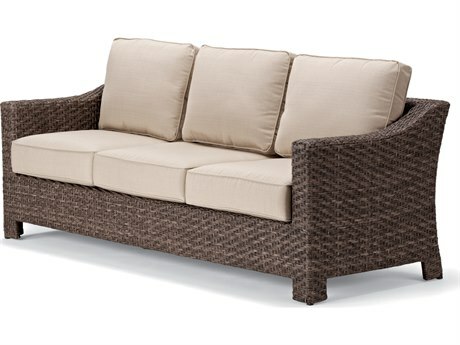 An outdoor sofa is the focal point of any patio set, making it a great investment. 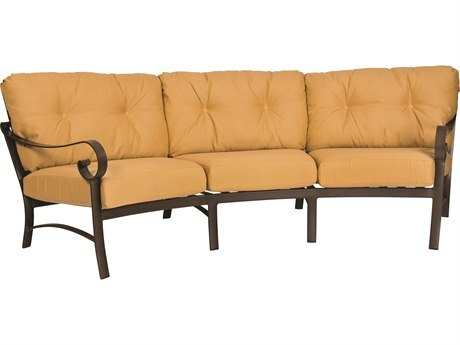 For entertaining, a sofa provides more seating options for groups or a place for two to lounge and enjoy intimate conversation. 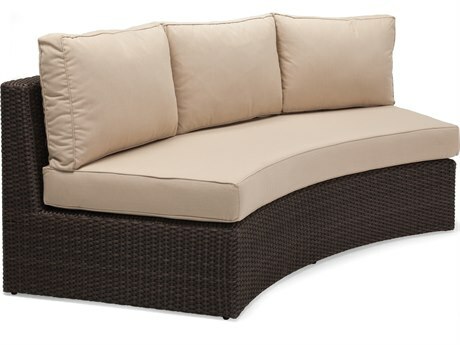 A sofa on your patio can also be great for enjoying some quiet alone time, and is the perfect place to lounge and relax. 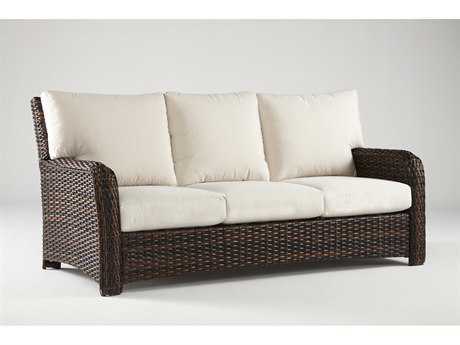 Outdoor versions of sofas have a wide functionality, making them a great versatile piece for anyone’s outdoor oasis. 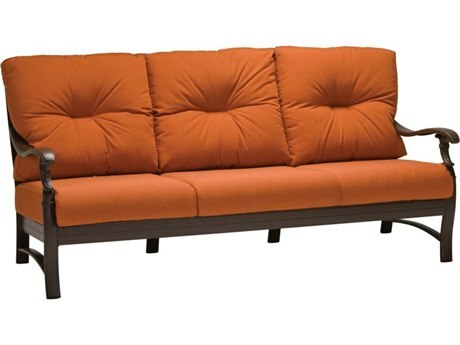 Choosing a sofa for your patio can be hard, because it’s such as large piece of the puzzle when it comes to your outdoor furniture. 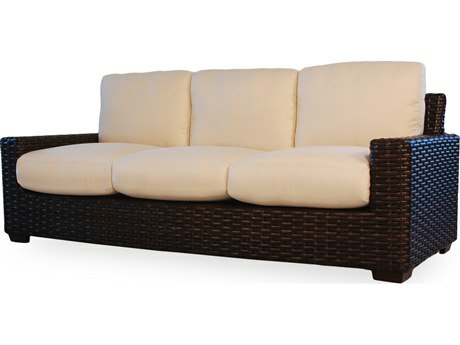 To ensure that you’ll find the perfect sofa for your outdoor space, PatioLiving carries endless sofas to fit everyone’s personal style. 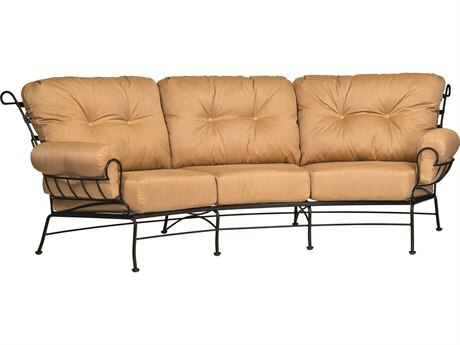 If your patio is cozy, traditional, and refined, a causal style outdoor outdoor sectional sofa will work wonderfully in your space. 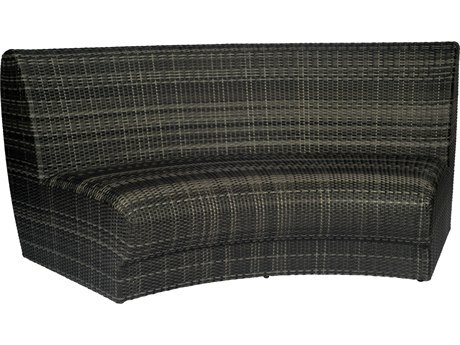 If your patio has a modern feel to it, a curved outdoor sofa could look best. 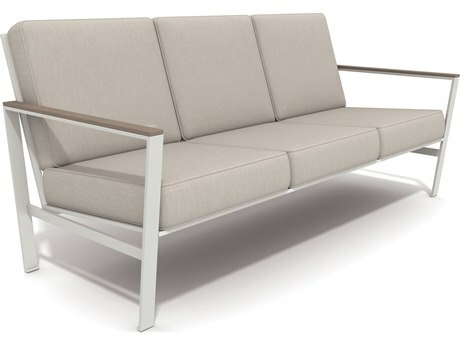 The sleek lines and bold shapes of a modern outdoor sofa will blend in seamlessly to your already established contemporary aesthetic. 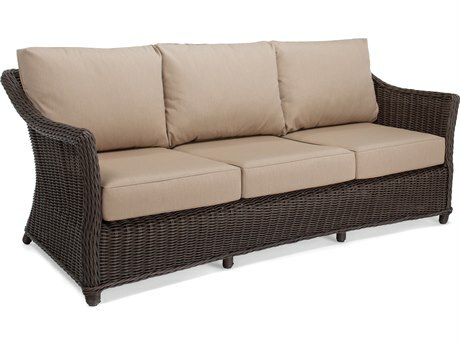 Positioned adjacent to a coffee table and a lounge chair or two, an outdoor sofa will have your outdoor living space looking stylish and complete. 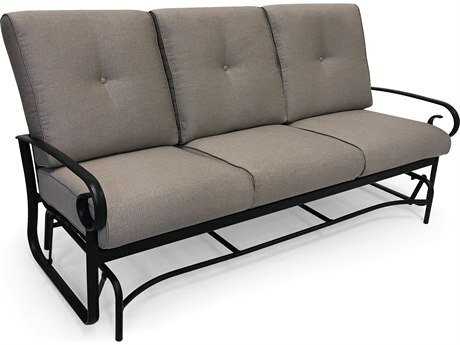 To give you a variety of options, PatioLiving carries sofa styles for the outdoors in a wide array of materials such as: aluminum, wrought iron, wicker, teak, and recycled plastic. 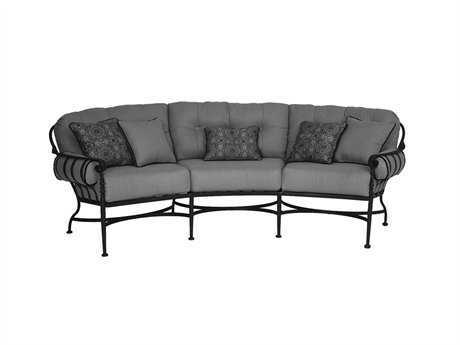 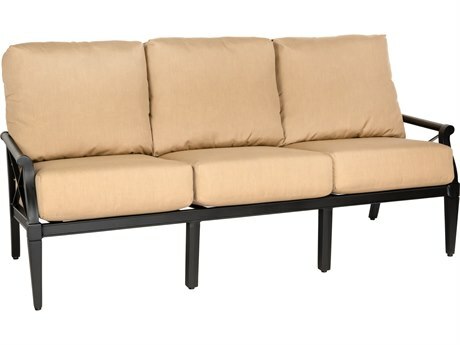 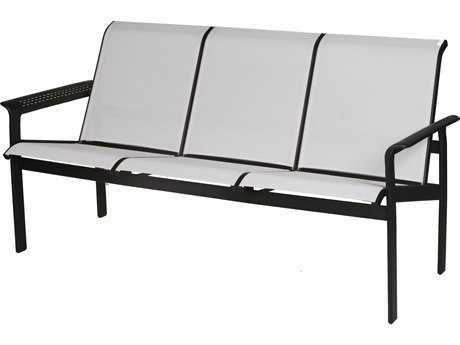 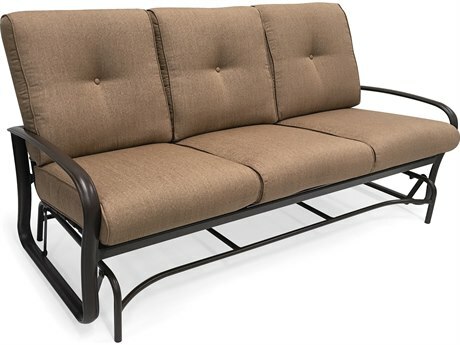 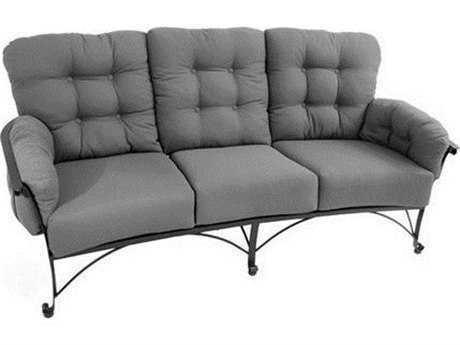 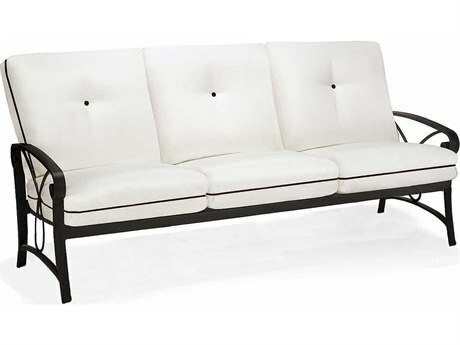 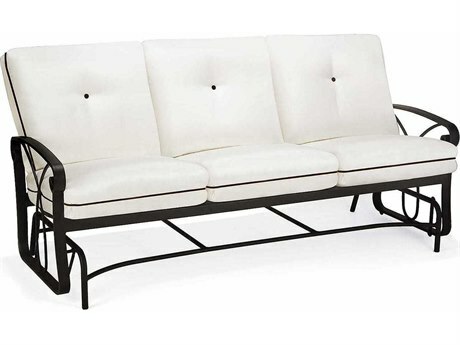 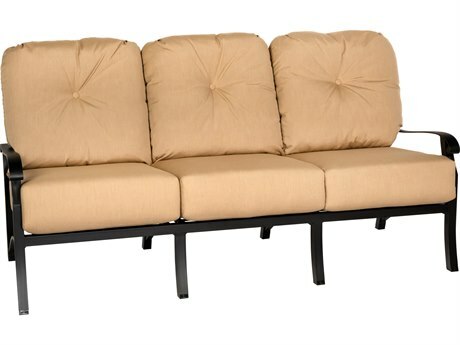 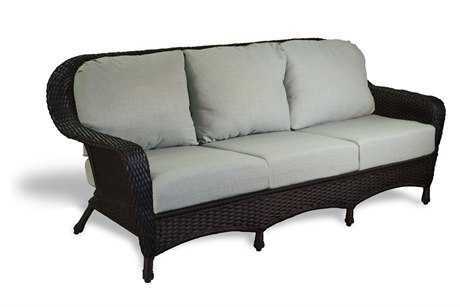 A patio furniture sofa is usually the type of outdoor furniture that doesn't need to be as portable, so you may want to consider purchasing an outdoor furniture sofa that’s made from durable and perhaps even heavy materials, such as wrought iron or steel. 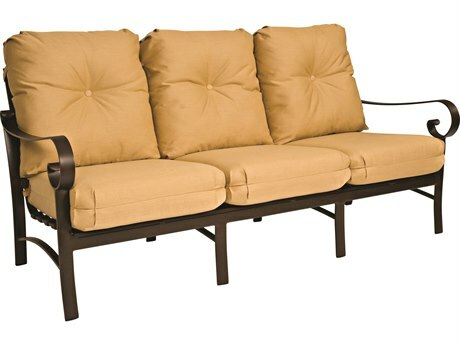 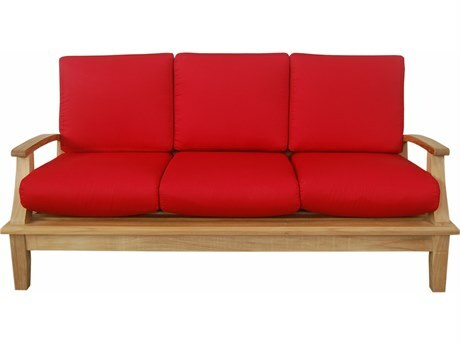 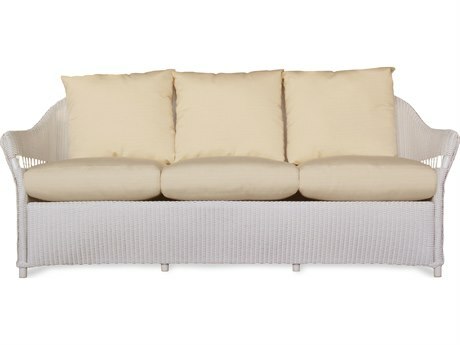 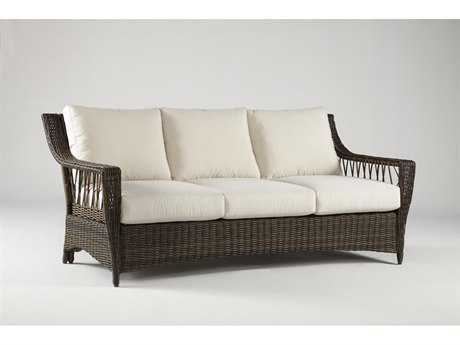 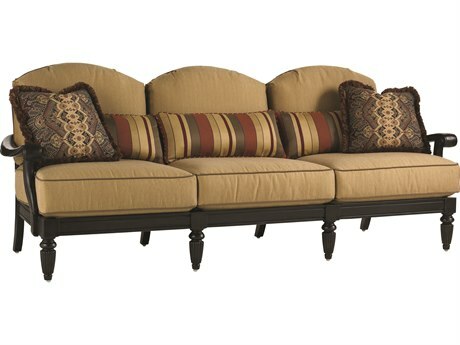 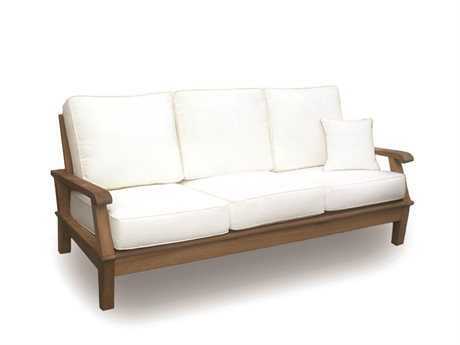 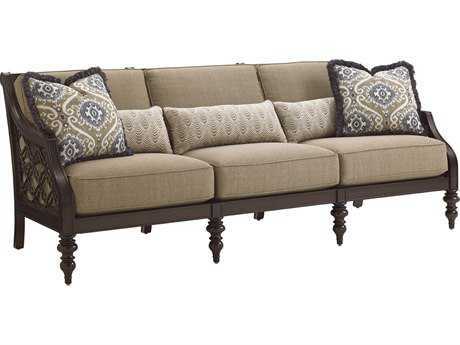 An outdoor patio sofa made from these sturdy materials won’t blow away in windier areas, and can weather the seasons. 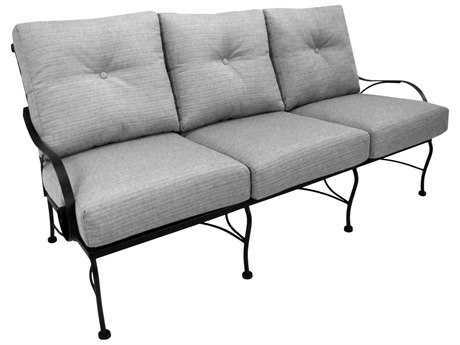 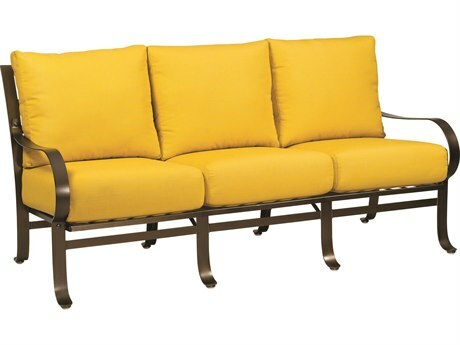 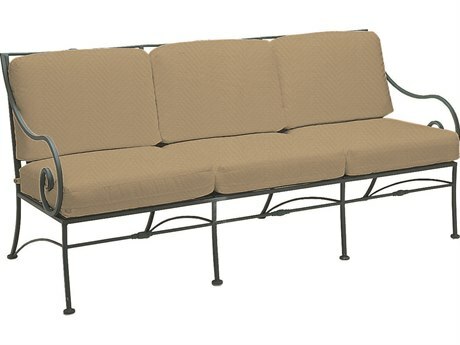 There are many different finishes to choose from for garden sofa frame, all which are rust resistant. 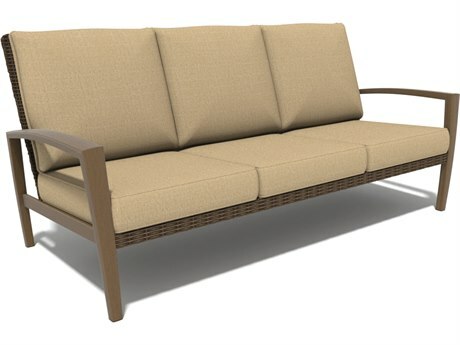 On PatioLiving, you can also customize cushions and seat material for your outside sofa. 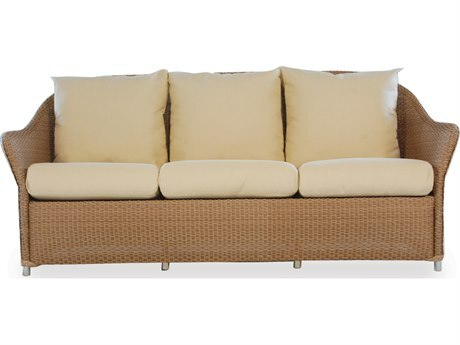 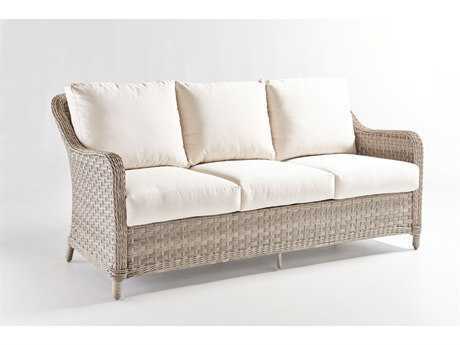 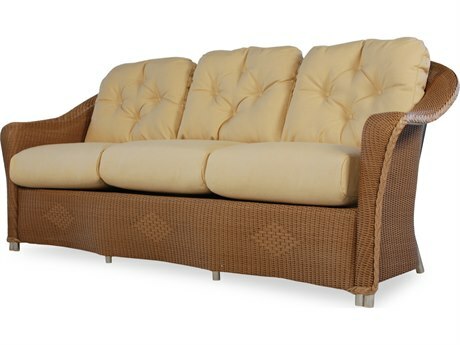 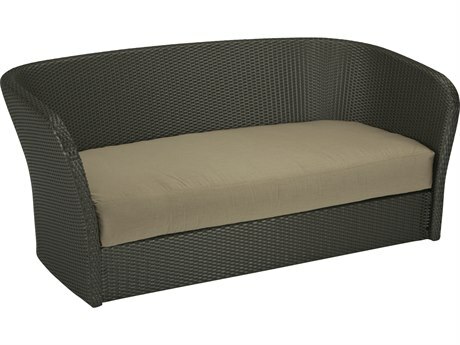 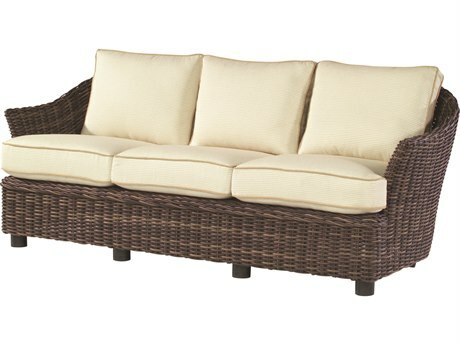 An outdoor wicker sofa is a great option to make any patio feel cozy. 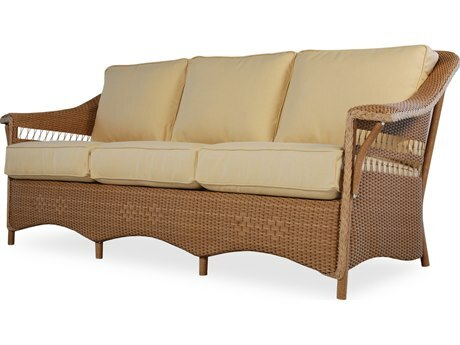 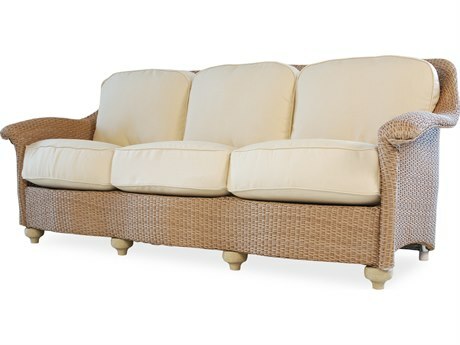 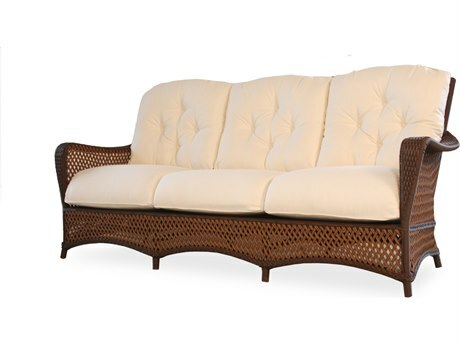 A wicker outdoor sofa from PatioLiving is made from "all-weather wicker" crafted from synthetic that's durable and long-lasting. 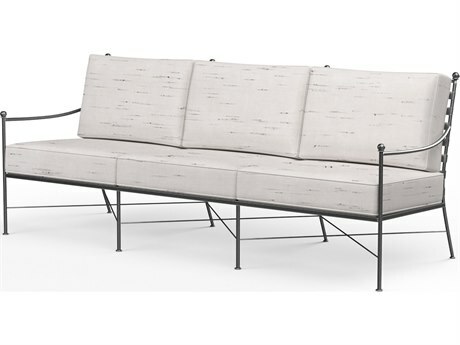 Whether you’re shopping for a residential sofa or for a commercial version, PatioLiving has several different options available in their outdoor sofa sale section. 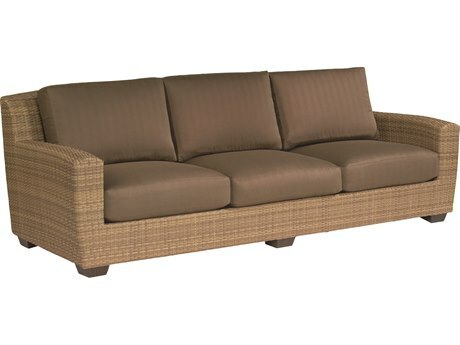 Our commercial sofa styles are great for any type of patio, rooftop, hotel or resort. 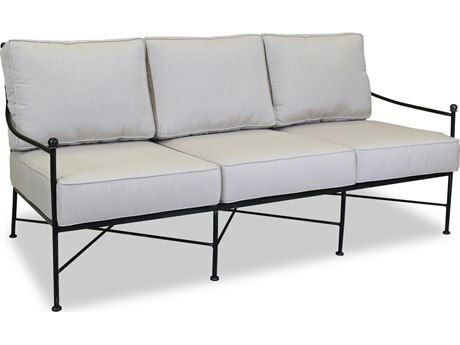 PatioLiving’s commercial sofas can withstand rigorous daily use and will remain comfortable long after they’ve been bought. 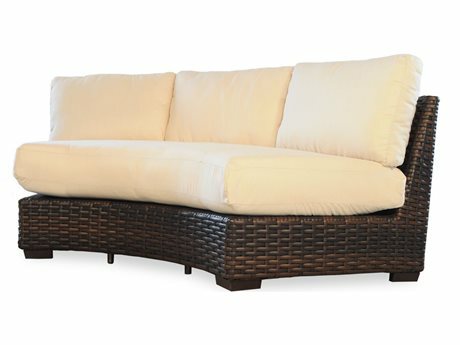 A residential style is perfect for your backyard, patio, or balcony and is a great way to complete your outdoor set.